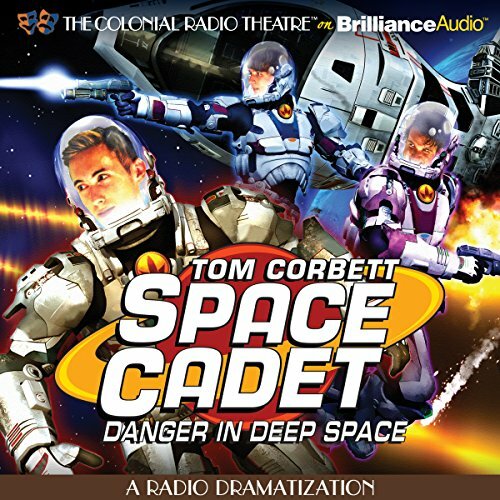 Showing results by author "Deniz Cordell (dramatized by)"
Cadets Tom Corbett, Roger Manning, and Astro are back - and this time they're blasting off on a top-secret mission that'll take them to the far reaches of the galaxy! Assigned to a new strict commanding officer, the boys are caught in a race against two rogue rocket jockeys taking them from the luxurious Venus space station to the mysterious planet Tara, which bears untold riches that could save the solar system. Filled with all of the action, adventure, and humor of its predecessor, Tom Corbett - Danger in Deep Space is a grand space opera that travels at full speed, and never lets up.